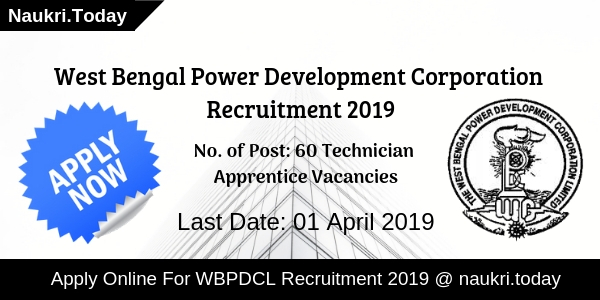 WBPDCL Recruitment 2019 – West Bengal Power Development Corporation has published notification for appointing candidates on 60 Technician Apprentice Vacancies. Interested candidates may fill up their application form from 15 March 2019. The Registration will take place up to 01 April 2019. Engineering Degree holding Candidates can apply online for WBPDCL Jobs through online mode. The Department has exempted all categories from the payment of an application fee for Technician Apprentice Posts. Fresh Update as on 20.03.2019: West Bengal PDCL Department has issued notification for 60 Technician Apprentice Vacancies. Participants may fill up their application form before the last dates 01. April 2019. Before applying candidates should check the eligibility criteria for WBPDCL Recruitment 2019. What Are The important Date For West Bengal PDCL Vacancy 2018? How I Check application Fees, Pay Scale & Selection Criteria For West Bengal PDCL Jobs 2018 ? Education Qualification Graduation & Diploma in Relevant subjects given above. Application Fees There is no application fee for all category candidates. Is There Any Upper Age Relaxation Is Available For WBPDC Jobs 2019? The Department has provided age relaxation to the reserved category candidates as per the Apprentice Act, 1961 and Apprenticeship Rules 1992. According to these acts, 3 years of age relaxation is applicable for OBC Category and 5 years for SC/ST Category candidates. 10 years of age relaxation is given to the PWD Category applicants. What Are The Documents Candidates Need To Carry At the Time of Interview? Duly signed and filled in application blank/application form. 02 copies of recent passport size photograph. 01. Date of Birth (matriculation certificate/mark sheet / admit card or Birth Certificate). 02. Qualifying degree/diploma certificates with all semester wise / year wise mark sheets, as applicable. Conclusion: West Bengal Power Distribution Corporation Limited has released notification for 60 Technician Apprentice Vacancies. Candidates may apply online for WBPDCL Recruitment 2019 from links given here. West Bengal Power Development Corporation Limited has announced notification for Operator/Technician, Office Executive and other Posts. There is 326 Vacancies are available for WBPDCL Recruitment 2018. Interested Applicants may collect here information regarding qualification, age, and selection criteria. Eligible Participants may apply online for WBPDCL Operator Vacancy 2018 from 01 October 2018. Candidates may fill up application form before last date 16 November 2018. For more details regarding West Bengal PDCL Jobs read below article carefully. Here we gave you links to download official Notification of Operator Vacancies. Participants should check here education qualification, age limit and application fee details before apply for WBPDCL Recruitment 2018. Candidates may fill up their application form carefully otherwise their form will be rejected. Here we gave you links to download WBPDCL Notification 2018. Applicants should have done Graduation/ Post Graduation/ Secondary Education/ Diploma in relevant field from the recognized University of West Bengal. Candidates must have knowledge about their relevant field are eligible for WBPDCL Vacancy 2018. Further more information aspirants should read official Notification of WBPDCL Operator Vacancy 2018. Maximum Age of applying candidates is 37 years old for West Bengal PDCL Vacancy 2018. Participants who applied for Assistant Sub Inspector Post must have upper age 32 years. The Department will give upper age relaxation as per government rule. Here we gave you upper age relaxation details of some categories. Candidates may apply online for WBPDCL Recruitment 2018 form links given here. Applicants who belong to OBC and General category need to pay Rs. 300/- for an application fee for WBPDCL Jobs 2018. The Department will exempt other categories for the payment of application fee for West Bengal PDCL Jobs 2018. Participants can pay their application fee via Allahabad Quick Collect only. For more information consult to official WBPDCL Notification 2018 from links given here. The Department will set different selection criteria for all field. Candidates should be selected on the basis of written examination, Computer Proficiency Test, Class Demonstration, and Personal Interview. Check Here points which address you selection Criteria for WBPDCL Recruitment 2018. Applicants should follow these steps to download West Bengal PDCL Vacancy 2018 notification. Candidates who are going to apply for WBPDCL Recruitment 2018 may check here qualification, age and selection criteria. Here we gave you links to apply for Operator Vacancies. Applicants may search for WBPDCL Recruitment at Homepage. Now Click on Advt. PDF of WBPDCL Operator Vacancy. After that Read complete notification carefully. Now Eligible Candidates may fill up their application form. Applicants must keep one copy of application form for feature use. Conclusion: West Bengal Power Development Corporation Limited has published notification for filling up 326 Various Vacancies. Participants may apply online for WBPDCL Recruitment 2018 before last date 16.11.2018. Dear Applicants, West Bengal Power Development Corporation Limited (WBPDCL) has now issued notification of Filing 60 Technician Apprentice Vacancies. Interested candidates can fill application form for WBPDCL Recruitment 2018 from here. This is great job opportunity for all Diploma & Degree holder who are WBPDCL Apprentice Jobs 2018. Closing date for filling online form for West Bengal PDCL Recruitment is 16.03.2018. More information mention in below article. WBPDCL West Bengal inviting online application form for filling up 60 Diploma & Graduate Technician Apprentice Jobs. online registration for WBPDCL Jobs will started from 23.02.2018. Appliers must check required Eligibility Criteria Before filling WBPDCL Technician Vacancies Online form. Rest of the details about Eligibility Criteria, Pay Scale & Other details you can collect from below article. Latest News as on 24.02.2018 : Link of Filling online form for WBPDCL Jobs has been started now. Interested candidates can fill online form here till the last date, link is shown below. Here in the below section both Trade & Qualification wise division of WBPDCL Vacancies is mention ed. You can also get these details which is mention in West Bengal PDCL Jobs Notification. Applicants if you going to fill online form for WBPDCL Vacancies then check required qualification & age Criteria from here. In the below section we are providing full details about eligibility Criteria For West Bengal PDCL Jobs. For Graduate Technician Apprentice Jobs : Applicants must have hold Degree in Mechanical/ Electrical/ Instrumentation & Electronics for This Vacancies. For Diploma Technician Apprentice Jobs : Diploma in Mechanical/ Electrical/ Instrumentation & Electronics for WBPDCL Apprentice Jobs. Age of the candidates for WBPDCL Diploma Apprentice Recruitment must be in between 18 years to 24 years as on 01.02.2018. For Graduate Apprentice Post upper age must be 25 years. relaxation is applicable for WBPDCL Vacancies as per organization rules & regulation. There is no need to pay any application fees for WBPDCL Apprentice Vacancy. All category applicants are exempted from paying application Fees. Selection of the candidates for West Bengal PDCL recruitment 2018 will based on Qualification Marks & Interview. Final Merit List will prepare on the basis of Marks obtain in interview. For more details you can check read the official notification for WBPDCL Technician Apprentice Jobs. Interested candidates can fill online form for WBPDCL Vacancies 2018 till the last date 16.03.2018. Here we are providing step by steps process of filling online form for West Bengal PDCL Vacancies. Follow the steps while filling online form. First of all candidates log on to the official website www.wbpdcl.co.in. 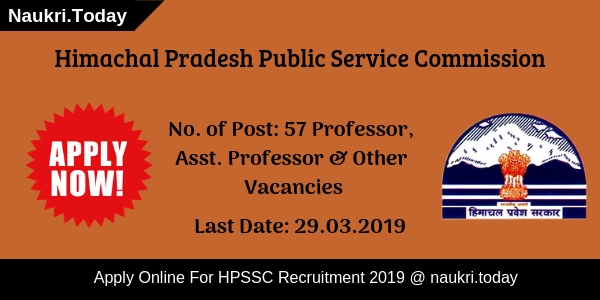 Go to career section & Click on WBPSCL Vacancy Notification. Read all information mention in official notification. Now candidates click on Registration link & Fill registration form. After that submit online application by filling all required information. Upload your all required Documents in WBPDCL Online form. Conclusion : – WBPDCL Recruitment 2018 For 60 Technician Apprentice Jobs. Applicants can fill online form for WBPDCL Apprentice Vacancies on or before the last date 16.03.2018. 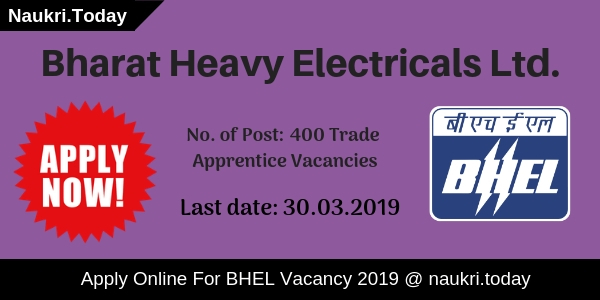 Check Official Notification or more details & Check by reading the above article for WBPDCL Technician Apprentice Vacancy.